The Kanti Black Storage Bench sets a high note for affordable, luxurious styling. Dressed in a pearl black finish, it effortlessly steals the show in any master suite, exuding a contemporary look with hints of glam. Highlights include ornate feet, crystal trim, and convenient storage space. 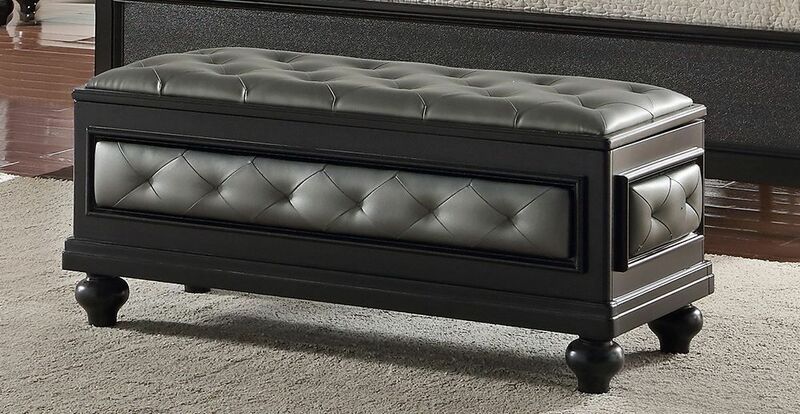 The Kanti Black Storage Bench sets a high note for affordable, luxurious styling.